Dress Monroe wore for divorce announcement to be auctioned. February. 08, 2019 07:25. wizi@donga.com. The black dress that Marilyn Monroe (1926-1962), the 50s Hollywood icon, wore when announcing her divorce from New York Yankees' Joe DiMaggio (1914-1999), is going up for auction. 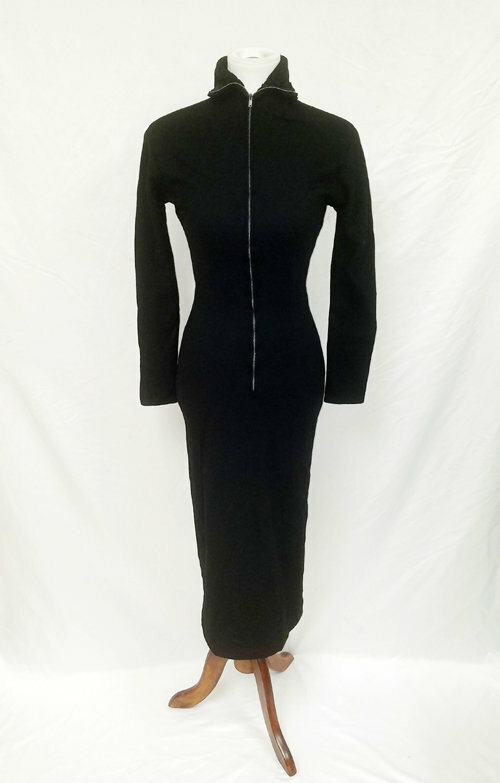 According to AP News on Wednesday (local time), GWS Auctions, an auction company based in Los Angeles, the U.S., announced that it will put Monroe’s black turtleneck dress on auction. The item in question is a simple wool dress with a zipper in the front. The seller’s name has not been made public. Monroe married DiMaggio, the baseball legend who set the record of 56 game hitting streaks, on January 14, 1954, but they split merely in nine months. The star couple held a press conference on October 6 the same year, and Monroe was seen shedding tears in this black dress. During the conference, the couple kept silent, and their lawyers announced the divorce. GWS Auctions put the estimated bidding prices for the dress at around 100,000 to 150,000 U.S. dollars. In December 2014, the love letter DiMaggio wrote for Marilyn Monroe was auctioned off at 78,125 dollars.